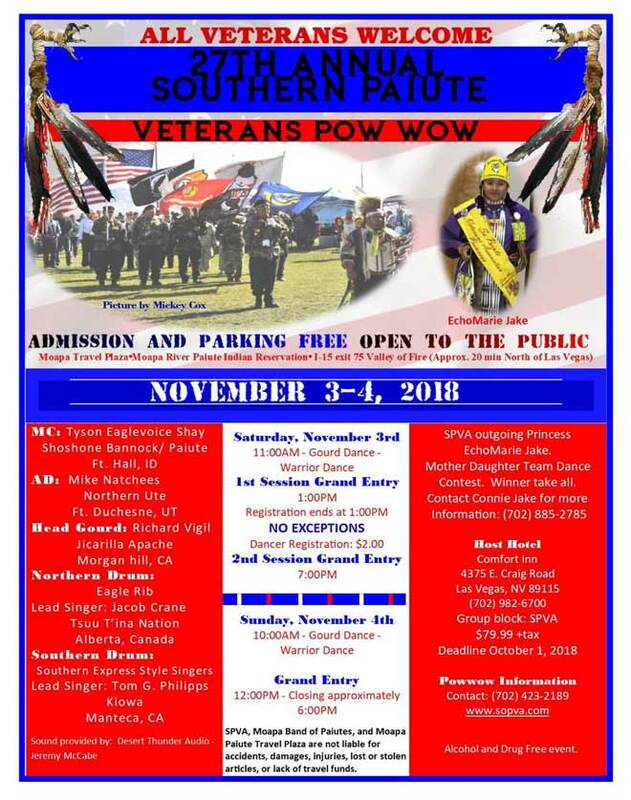 The Southern Paiute Veterans Association is a NON-PROFIT ORGANIZATION. PLEASE NOTE: The 2019 Permits and Forms ARE available! NOTE: Our NEW, 2019 FORMS BELOW ARE AVAILABLE! 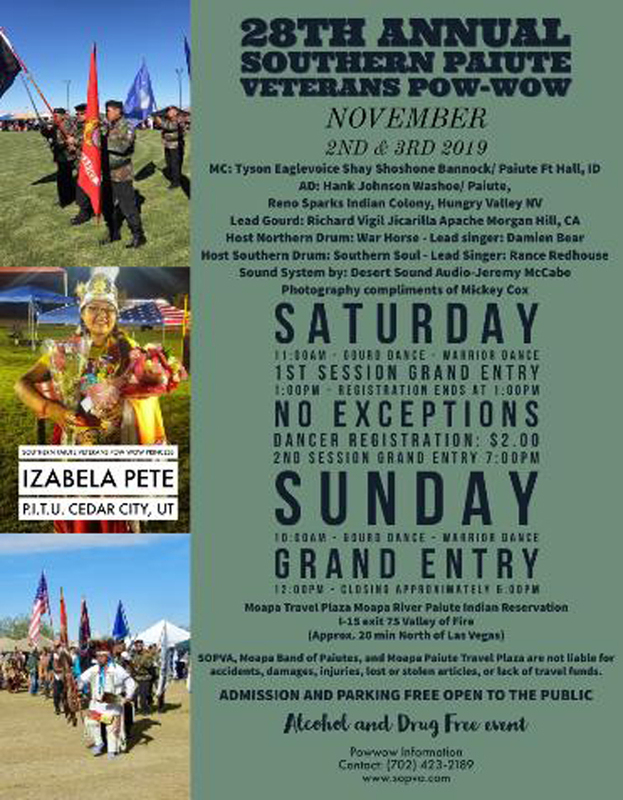 We will be listing all forms and permit forms or links to them for always current year, on this page for Vendors and participants of our 2019 28th Annual Pow Wow, and future Pow Wows and events of the Southern Paiute Veterans Association. If you do not see the forms you need, please use our "Contact" page as linked below, to get further assistance. Thanks, and we HOPE to see each of you at the Pow Wow!! The 2019 28th ANNUAL FLYER IS NOT YET AVAILABLE! Public Welcome Flyer 2019 here. Download the 2019 Pow Wow Dancer Payout here. AVAILABLE NOW unless noted otherwise! Download the 2019 Schedule of Events here.